This video itself is not pinball related. 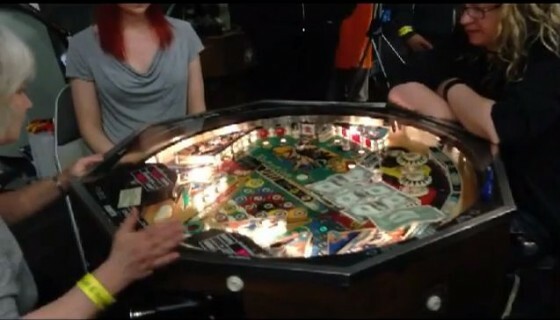 However, as I was watching it, I couldn’t help but thank goodness that the pinball scene isn’t like this. Well, at least I hope it isn’t. I realize that I can’t assume this is true everywhere, I can just hope. Please promise me that no matter how popular pinball gets as it regains its foothold on our collective consciousness, that it will never get like what Jesse describes. Popularity does not have to breed acrimony. As an aside, if “eSport” is a thing, can pinball be a pSport? Or, maybe a Bar Sport? On an unrelated note, as this post goes up we will have just completed the 24-Hours at the Sanctum pinball tournament marathon. I wonder if I am still alive at this point.